Vacuum storage bag for compact storage. Capacity of 145 litres. Dimensions: 50 x 65 x 15.5 cm. Compactor ® offers smart storage solutions to store safely your belongings and clothing. Totally sealed, the covers Compactor ® storage provide you anti-mite protection and mothproof. They are waterproof and protect all your clothes against moisture. Covers vacuum Compactor ® will allow you to save space easily. In your home, store all your clothes: sweaters and ski suits, children's clothing and quilts, comforters and lingerie. 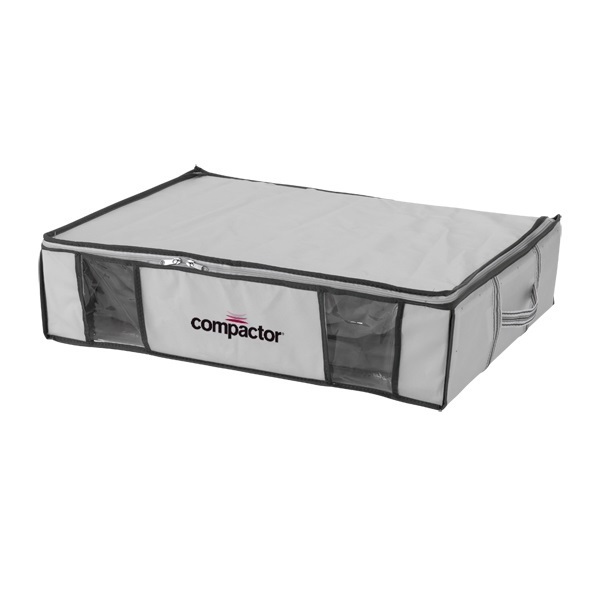 Traveling or on the go, Compactor ® covers can save you up to 75% more space in your luggage! Compactor ®, a unique and decidedly practical technology!